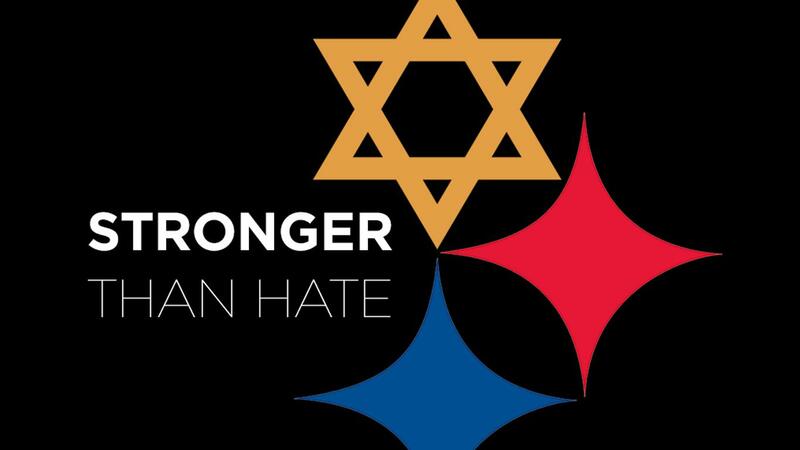 The Star of David combined with the old U.S. Steel/current Pittsburgh Steelers logo is used in conjunction with the USC Shoah slogan 'Stronger Than Hate' was designed by Tim Hindes. America mourns for the victims of and with the families affected by this weekend's massacre at the Tree of Life synagogue in Pittsburgh, which left 11 Americans dead and four members of law enforcement wounded. This episode was preceded by the attempted delivery of 14 pipe-bombs to prominent Democrats and other perceived opponents of the president, as well as the killing of two black shoppers who were randomly shot at a Kroger grocery store in Kentucky after the gunman failed to gain access to a predominantly black church nearby. Last week I wrote about civility in politics for the Erie Reader, concluding that "we need to be sure that the words of our leaders don't serve as consent for such behaviors among citizens with more in common than we are led to believe.'" Invoking King's "Letter from a Birmingham Jail," I thought, was necessary because in it, he reminds us of the ways we are bound together in the actions of our daily lives, both personal and public. "Injustice anywhere is a threat to justice everywhere," he wrote. "We are caught in an inescapable network of mutuality, tied in a single garment of destiny. Whatever affects one directly, affects all indirectly." King wasn't writing to the public-at-large, intending for his work to be widely read. He challenged those who he referred to as political moderates, those who said they knew right from wrong yet chose to do nothing about it. "Shallow understanding from people of good will," he wrote, "is more frustrating than absolute misunderstanding from people of ill will. Lukewarm acceptance is much more bewildering than outright rejection." Lukewarm acceptance. That line resonates this weekend in the wake of the Tree of Life shooting because the acts of violence that plague this country are too comfortably dismissed by those who do not see themselves affected by the violence we face as a nation. It's hard to say at this time whether or not the Pittsburgh shooter was motivated by the national political tides, but the cultural moment we find ourselves in certainly makes the case more plausible. We do know the motivations of the pipe bomber in Florida and the gunman in Kentucky. More disturbingly, these acts of violence are manifestations of a national trend. A recent study by the Anti-Defamation League of more than 7.5 million tweets and 8.5 million hashtags found that more than 80 percent of harassing tweets used hashtags associated with right-wing extremism and nearly 40 percent of those tweets included #MAGA (Make America Great Again) or #KAG (Keep America Great), which are slogans associated with the Trump campaign and presidency. American hate in the 21st century has become a partisan issue. And too often, defenders of the Republican platform – its core issues that transcend this president and his rhetoric – say that their efforts in support of the president are about policies rather than the person representing them. This has become the "moderate" position in the Republican Party. And just as Dr. King asked so-called moderates of his day to recognize the immoral and unjust position they defended, it is time that moderate Republicans today do the same. 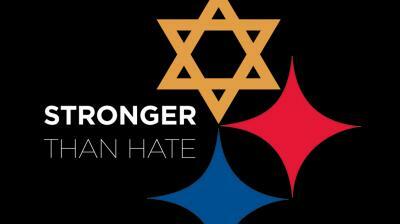 There is no issue worthy of a tolerance for hate and violence. The time has come for you, moderate Republicans, to divorce this president from the policies you support. In doing so, you will have made the moral choice to stand up for the principles you claim to defend and act as Dr. King asked his moderate brethren to act by "standing up for what is best in the American dream and for the most sacred values in our Judeo-Christian heritage, thereby bringing our nation back to those great wells of democracy which were dug deep by the founding fathers in their formulation of the Constitution and the Declaration of Independence." Jim Wertz is a contributing editor and the Chairman of the Erie County Democratic Party. He can be reached at jWertz@ErieReader.com and you can follow him on Twitter @jim_wertz.